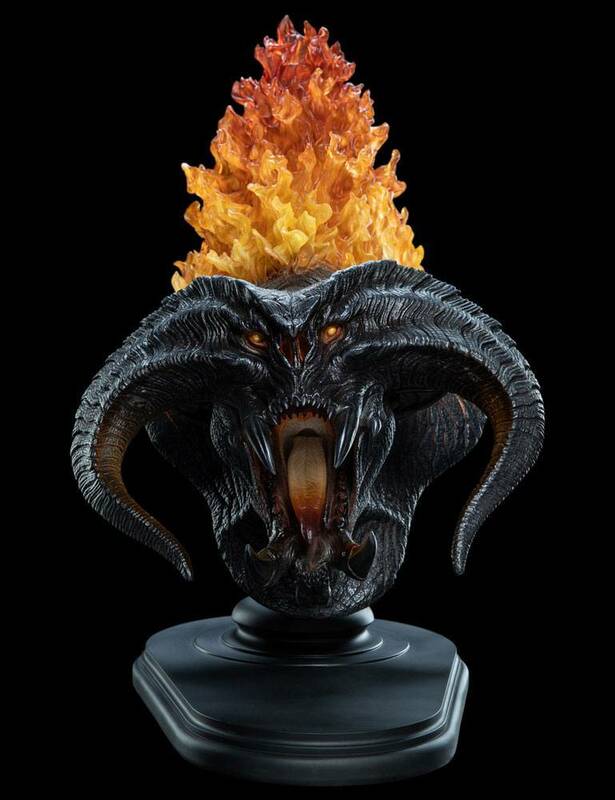 Two decades after he helped design fell creatures for The Lord of the Rings, Weta Workshop sculptor Jamie Beswarick revisited the Balrog, this time capturing the unfathomable terror as a highly detailed polystone and resin bust. The Balrog's snarling visage was created using the same traditional physical sculpting techniques honed on the trilogy. 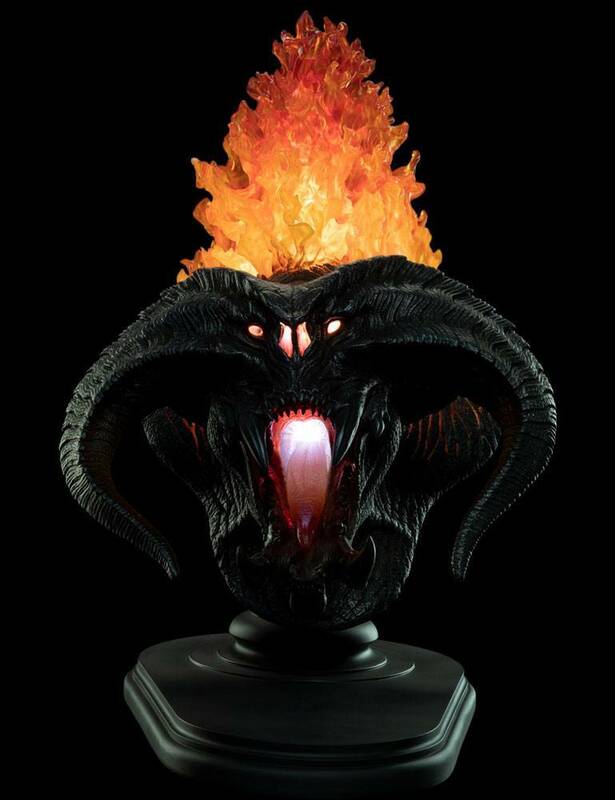 When illuminated, the Balrog is truly a demon composed of shadow and dancing flame. 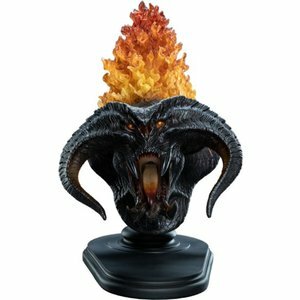 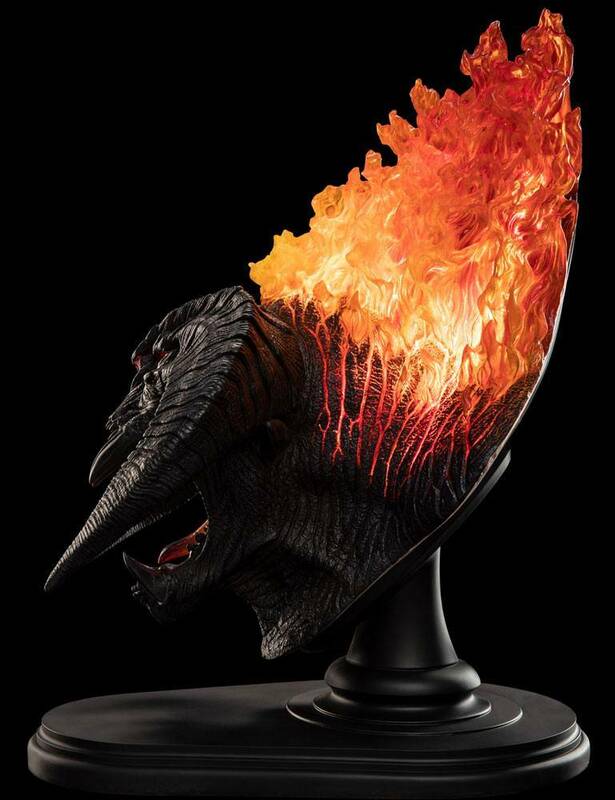 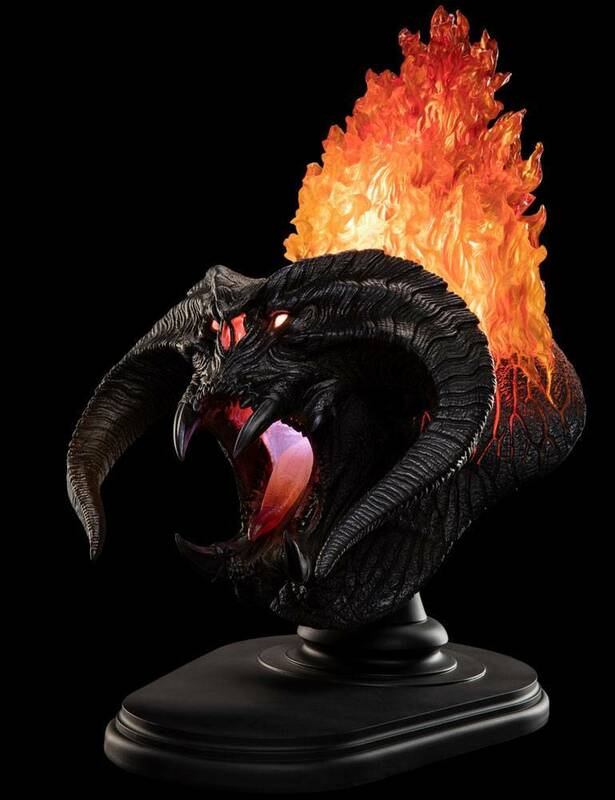 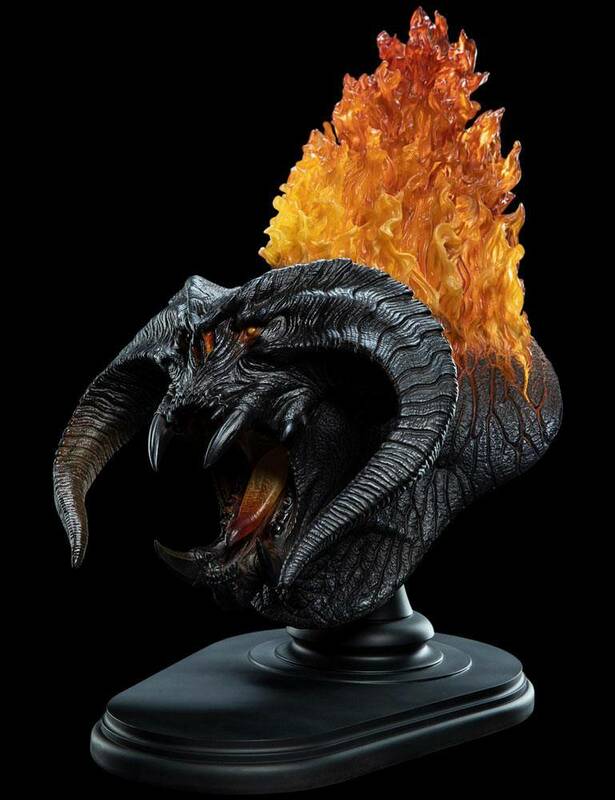 The Flame of Udûn joins Weta Workshop's line of creature busts that can be wall-mounted or displayed on an accompanying stand. 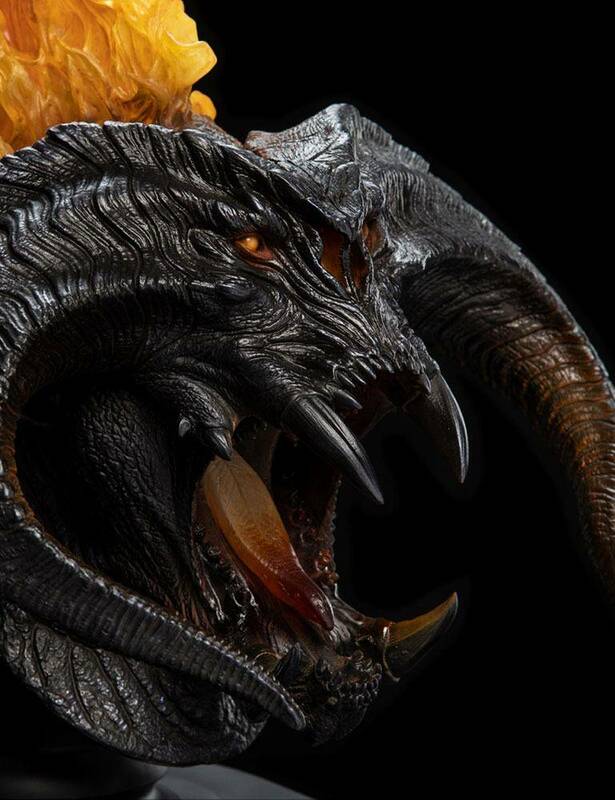 This collection of fantasy film art is the work of nightmares.